Turned Brass Risers. 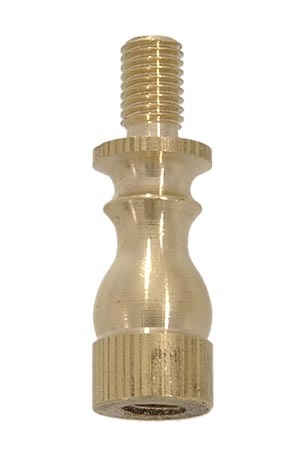 1/4-27F X 1/4-27M which fits standard finials and harps, Riser length does not include threads. 20966 - 1/2” Length Brass Riser, Burnished & Lacq. 20967 - 1” Length Brass Riser, Burnished & Lacq. 20968 - 1 1/2” Length Brass Riser, Burnished & Lacq. No reviews yet for the Turned Brass Riser.